Of course they should all be special. It’s a day we honor our mother, the woman who brought us into this world. For most of us, she’s the woman who first loved us, and loved us unconditionally, fed us and played with us, cared for us, protected us, and was always there when we needed her. But this year is an especially special Mother’s Day, at least in our family. While it is my first Mother’s Day as a grandmother, more importantly, it’s our daughter’s first Mother’s Day as a mom to her own beautiful daughter. For our daughter and son-in/law, and our whole family, this year has been one of many “firsts”, amazing days in which our granddaughter has passed those many special milestones as an infant. Her first bath, her first smile, her first tooth, her first trip to the zoo and the beach…. But more so, our daughter has grown from being a college student, to a wife, and to being a mother. And watching that transformation take place has been something totally amazing. We always knew she’d be a great mom, but as I watch her with her daughter, I’m just amazed, and very proud, on a daily basis. Motherhood seems as natural to her as breathing. Her world has suddenly changed. Although her husband is the love of her life, her daughter is now the most important person in her world, her life, her greatest treasure. As it should be. She now knows what it’s like to be willing to give up everything if her child needs something. That’s how a mom should be with her children, and that’s the mother our daughter has become. To say we are proud of her is an understatement; there are no words to describe how we feel. She and her husband have become the parents we always knew they’d be. Their daughter is their world. A smile on that little one’s face can make a dreary and miserable day turn into a ray of sunshine that lights up their entire house. Last year’s Mother’s Day was a miserable one for our daughter. She was just about at the end of a terrible pregnancy in which she’d endured overnight hospital stays, dehydration, daily nausea and vomiting, severe back and hip pains, and mostly sleepless nights. 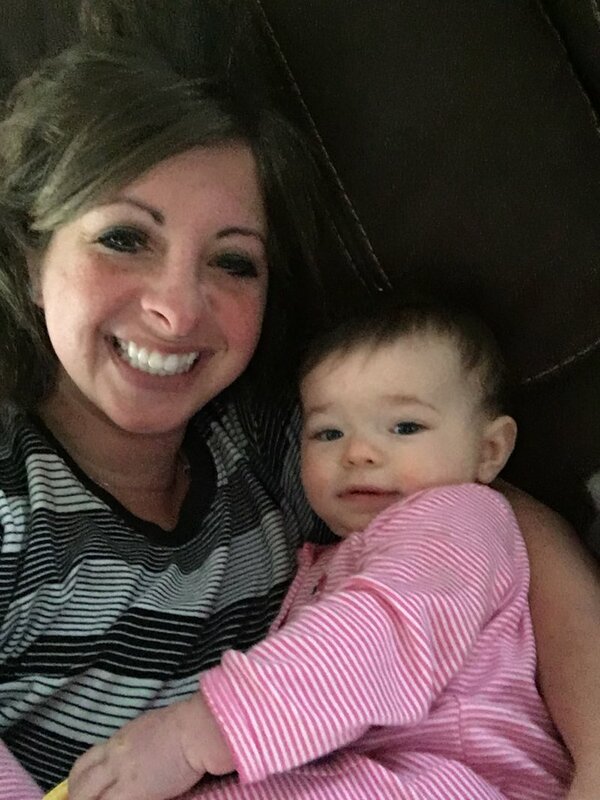 She couldn’t even eat her Mother’s Day brunch, and as her mother, I felt totally helpless because I couldn’t do anything to make her feel better. In fact, that’s how I’d felt almost during her entire pregnancy, because I couldn’t do anything for her. That’s part of being a mother to a mother-to-be. I kept telling her it would all be worth it, but it was hard for her to believe it at the time. But she sure does now. As sick as she was the entire nine months, every time she looks at her beautiful daughter, holds her in her arms, and sees her laugh and smile, she knows it was all worth it. And for me, well, personally, I must say the best Mother’s Day gift of all is watching my daughter being a mother to her daughter. For me, being a mother to the mother of our grandchild is the only gift I need. I don’t need a bouquet of flowers; my flowers are the pictures we receive each day of our beautiful granddaughter. I don’t need jewelry; our daughter and granddaughter are the sparkling jewels of my life. Happy first Mother’s Day, Ashley Treasure the memories. I’m so very proud of the woman – and mother – you’ve become. Your grandmother would be so overjoyed, and I have a feeling that every so often the Lord gives her a glimpse of you and baby Rachel. And I can only imagine how happy that makes her! I love you all so much! And one day you will know the feelings I’m having when your own daughter becomes a mother.